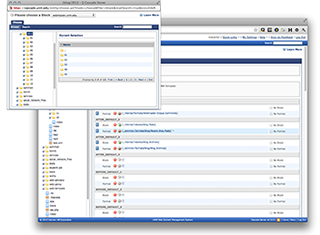 This month we will be updating the WCMS system to version 7 of Cascade Server. While many of the new features are on the backend and may not be apparent to most users, there are a few new features you may find useful. Here is a quick rundown of these new features. The twitter feed block is the first of a new set of modules that Cascade Server is introducing. The idea of modules is to create a mechanism that will allow users to easily add more dynamic content to their website. The twitter module is currently the only one available. What this module does is allows you to quickly add a block that contains a twitter feed of a particular accounts posts, that account and any mentions, or a search query. In previous versions of Cascade pages, files and other assets could become orphaned on your website if you deleted them or moved them within Cascade. In version 7 you are now prompted to unpublish any item you move or rename to help prevent orphaned files. 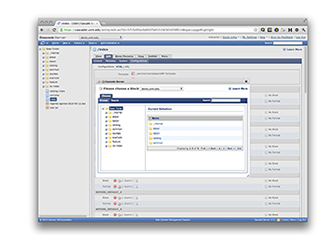 Cascade uses components called Indexes that return lists of assets from the WCMS. These indexes are used to create things like the navigation and breadcrumbs that appear on your webpages. Some websites may also use indexes for other features such as News listings or Events. In version 7 of Cascade they have introduced new index caching. Prior to this release, sites with a larger number of pages or complex indexes may have noticed that their pages seem to be slower to load while working in Cascade. This behavior was caused by Cascade having to create the index each time you load a page where the index was used. In version 7 those indexes are built and cached to allow for faster loading. The first time the index is built may still take some time, but after the first page load you should see increased speed. In versions of Cascade before 7 selecting assets and other components often resulted in a popup window appearing. We found sometimes that popup window could get lost behind the primary windows and cause issues for some users. Beginning in Cascade 7 there are two new changes to the Asset Chooser. First, the asset chooser now has an inline selector that will show you the most recent assets you have visited. This new features allows for quick and easy selection of assets. 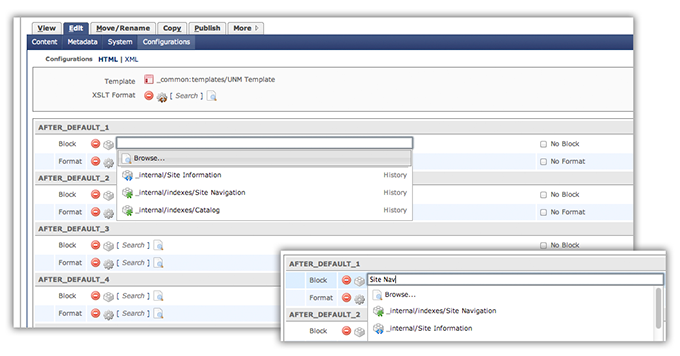 Often users might find they create a block and immediately go to add it to a page. This new change should make that block appear as one of the first options. If you don’t see the asset you want you can use the search as you type feature to find the asset. If you prefer the old method of browsing for the asset you can still do that as well. The popup windows now appear as modal window within the current webpage, this helps to prevent issues with popup blockers or losing the window behind the main window. The History menu on the top toolbar has been improved. 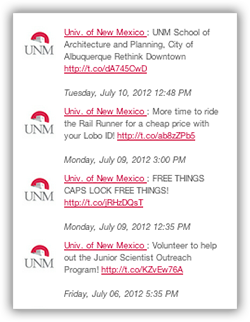 Previously the menu item was a link to another page where you could see your recent activity. The new menu is a drop down that allows you to quickly access recent assets you have visited or edited. Additionally each item in the menu contains a submenu of actions that can be taken on the asset. These actions include view, edit, publish, and more.